That’s the crux, though – in Japanese. Which I neither write nor speak, at the moment, because unfortunately, 10+ years of watching anime somehow didn’t make me into a native speaker. So I wrote the letter in English, but using the traditional progression. I did use the kanji for haikei/keigu, and I’m hoping I did them correctly and didn’t accidentally misplace a stroke and write something insulting! 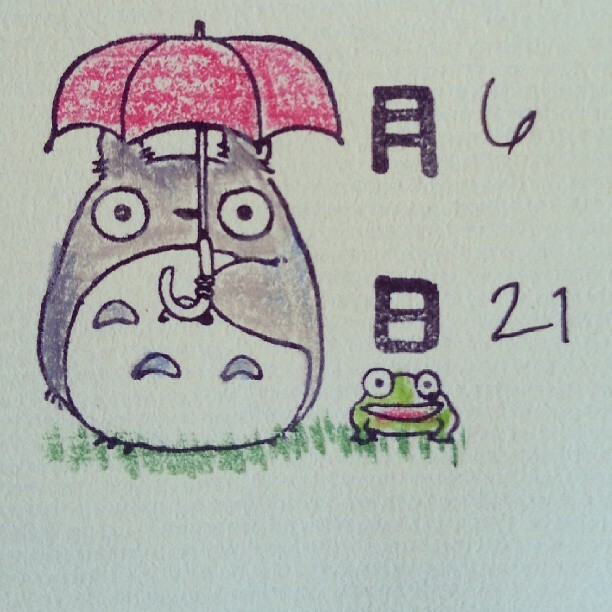 I started the whole thing off with a date-stamp featuring My Neighbor Totoro. I figure if nothing else, it’s cute, and if I did accidentally insult him, maybe this will soften the offense! My kids love the movie Totoro. They go around singing it until I go bonkers. I watch it in Japanese, which drives Matthew nuts.